Because I’m obsessed with Pinocchio, one of the more gorgeous, light, addicting romances I’ve come across in recent years, have some insanely pretty pics of the leads, most from a campaign for casual clothing line Jambangee. The two won the Best Couple Award at the 2014 SBS Drama Awards and have been nicknamed the “Darling Couple” for their chemistry. At the awards show, the MC asked Lee Jong Suk, “I heard that you and Park Shin Hye share skinship even when the camera isn’t rolling. Is this true?” Lee Jong Suk answered immediately, “Yes.” See also the Pienocchio tumblr for an adorable GIFset of Lee Jong Suk rambling about how lovable and pretty Park Shin Hye is. 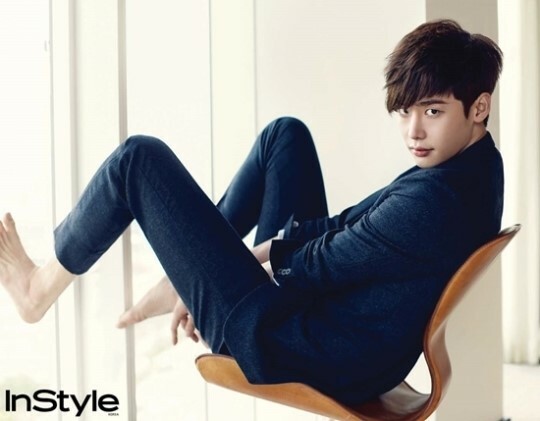 And, a bonus Lee Jong Suk Instyle! I envy both of them…..